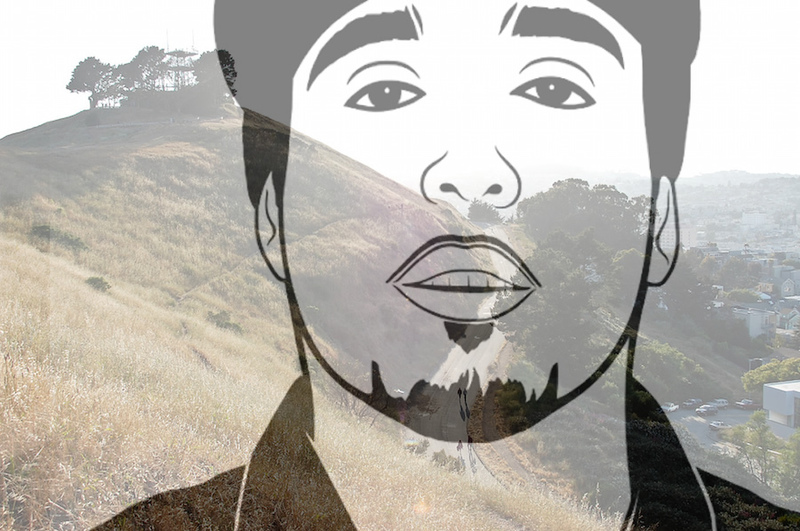 What happened during Monday night’s community meeting about the proposed City ordinance to install a memorial for Alex Nieto on Bernal Hill? Several Bernalwood readers attended the meeting, and shared their perspectives on what happened. Just left this meeting disappointed that the first 1 1/2 hours was not about establishing a memorial for Alex Nieto, but a memorial come-together meeting. It was very touching and sad to to hear from the Nieto family and indeed other families of recently shot citizens who were introduced by Campos. There was then another round of much shouting “Amor, Amor” for Alex and posturing by one man in particular. I left about 7:20 hearing no constructive talk about a memorial other than Campos/Avalos saying there would be a community process, two supervisor meetings, and a guiding committee you could sign up for. The vast majority of people in the room appeared to either express love for Alex or anger for the incident. I attended the meeting together with about 40 others. The people attending were all supporters of Alex Neito and friends/families of the other 2 victims of police killings this past year. The family of Alex Neito spoke in Spanish and was translated to English. Alex apparently grew up in Bernal and attending local public schools. He later attended a [junior college] and studied criminology. He did a lot of volunteer work with children. I attended to learn more about his contribution to Bernal and to understand the reasons to establish a public memorial on the hill. Campos, Avelos and Hillary Ronen attended. Each spoke and their comments were unremarkable. An artist from the city art commission spoke about the type of memorial that might be considered. She had a portfolio of brass plates, benches and bronze bust. She mentioned that a bronze bust of Newsom cost about $120,000 that some of his wealthy patrons contributed to have it made. She did mention the public must pay the cost of this type of project. However, Campos chimed in to announce that he inserted language in the ordinance to possibly include city money to purchase the memorial. He received a round of applause. I left the meeting after 45 minutes and still cannot understand why two public officials – Campos, Avelos and Supervisor-elect Ronen would endorse a public memorial for Alex Neito. Hearing scheduled Dec 5th at 1pm. If approved by this committee, it will go to the full Board for a hearing. I went to the meeting. It was an overflow crowd. Once the resolution is passed, it is up the the Nieto family with input from the community to decide what form the memorial will take. Someone from the Arts Commission made a presentation about the process, gave ideas about plaques, benches and statues. Right now there is no City money available for the memorial. Some in the audience wanted to approach the City to fund it; others thought it should be funded by the community. Beth Stephens who teaches at UC Santa Cruz offered to fabricate the plaque at the USC bronze foundry. Other people offered to write grants. Rufugio Nieto talked about his son and said that at one point he dragged Rufugio up to the hill at 3 am and they sat together on a bench and Alex said he loved seeing the City asleep and that he felt so safe there, safer there than anywhere else. I’m sorry to even think it, but a brass or bronze bust would likely be taken by the kind of [expletive deleted] thieves who think nothing of blacking out a whole neighborhood to steal phone wiring. A memorial bench sounds like something Alex would have appreciated, and more likely to endure. Given that the proposed location is a public park, a memorial to all victims of gun violence in San Francisco might be more appropriate.